If professors serve their political masters, their new masters in a democratic society would be none other than the people. The fate of our country hinges on academics changing the narratives of what is important for Malaysians in the coming decades and even centuries. Academics should help reinstate the place of Islam in the constitution and uphold the values of the Rukun Negara. The next general election may be closer than we think, and PH must act now instead of playing to the gallery. If we love our nation, we should try to contain incidents like insults to an isolated activity. Is Pakatan Harapan confident of getting the same mass support from the Chinese community as it did in GE14? The right people and plans have been put in place; now members of the public must be patient and understand that change is a process, not a single event. Three new modules could bring meaning to the Malaysian Studies subject. The struggle continues against misinformation and sedition, which Malaysians must once again counter in order to preserve the ideals entrenched in the constitution. It does seem like our religious officers disagree with the Rukunegara and the constitution. 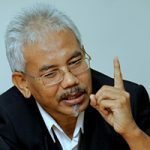 Implementing the Perlis mufti's suggestion of removing Islamic Studies from the main curriculum and teaching all religions in the afternoon session instead may engender better understanding and tolerance among the different communities. A look at the views of a PAS leader, the Perlis mufti and a Muslim activist. In Malaysia, is religion truly for God? Malaysians should rebuild their faith and their houses of worship to include those of other beliefs as well as the poor and destitute. This is the story of a scrawny Malay boy who studied at a Chinese school for five years without once experiencing racist attacks by his classmates. It is in fact the public school system and the Malay educationists who have done this. Kelemahan orang Melayu adalah fikiran di bawah tempurung, tidak kritis, tidak luas dan tidak berfikir di luar kotak. Tunku Abdul Rahman University College has lived up to Tunku's legacy by, among others, providing quality education at a reasonable price and producing well-rounded students.